Ergo Grip AR Deluxe Tactical w/ Palm Shelf, Sure Grip model. 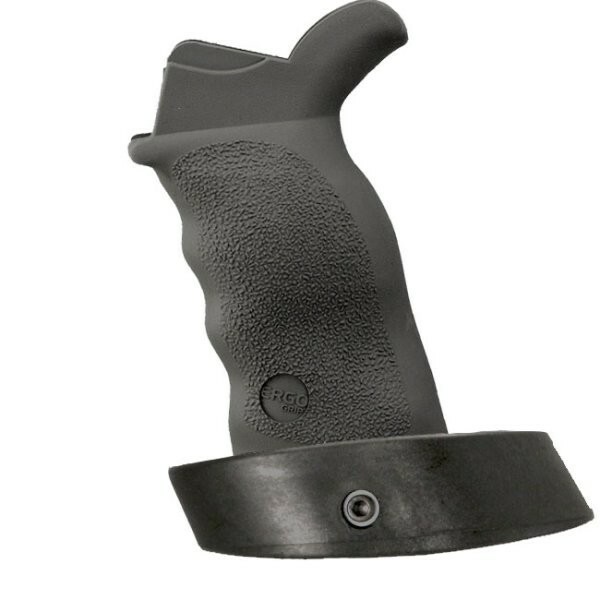 The Tactical Deluxe with Palm Shelf is the same size and shape as the Tactical Deluxe grip but has the addition of an adjustable palm shelf to support your firing hand. This grip excels on precision rifles.